This is a sponsored post by Panera and these opinions are 100% my own. It's no secret that I love eating out, the less I have to cook the better. 9 times out of 10 I like to choose a place that offers healthier options for my family. 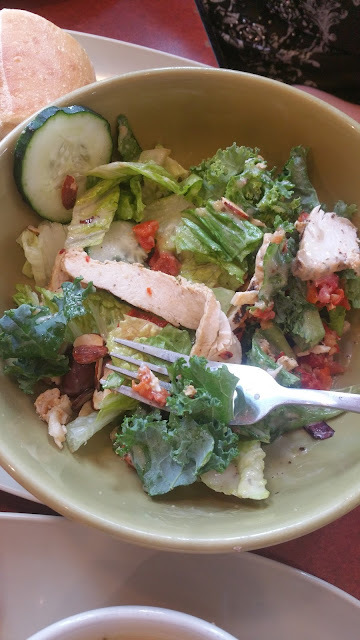 Panera bread is a place we frequent due to the fact that they offer plenty of salads, sandwiches and soups that are great for our budget and for our health. 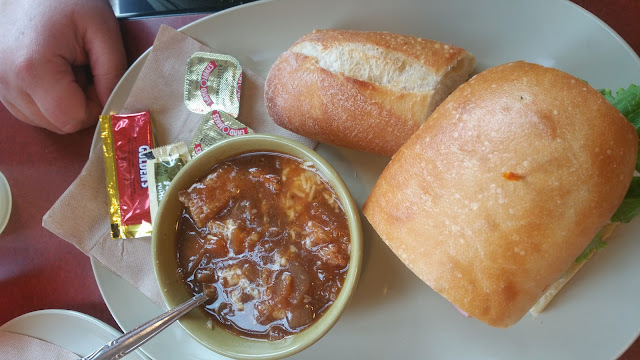 You can read about my experience at Panera Bread while I had lunch with a few girlfriends. It was an amazing time with great food and lots of laughs. One of our favorite options is the You pick 2 where you can pick a half of sandwich,soup or salad. The options with that are pretty endless . If you are looking for a delicious meal, I suggest heading over to Panera Bread.